Here’s the first glance at the garden pond we installed two weeks ago. 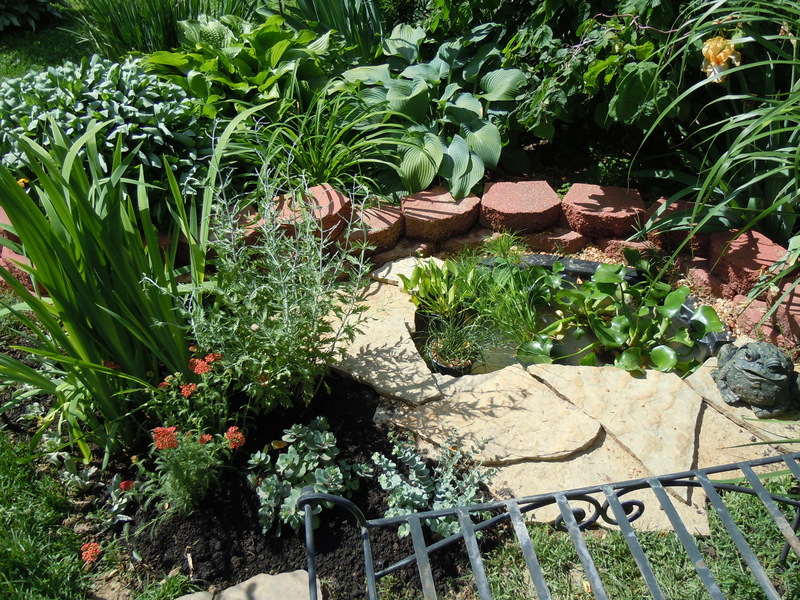 We added plants last weekend (in and around the pond), and the slate rock you see around it. Lots of silt and dirt had washed in from the rain last week, so I drained it on Thursday and put fresh water in. And on Friday we added fish! Just a few mosquito fish since the pond has no automated filtration. We like it so much and went overboard with all the new water plants that our water feature spilled over into a garden tub below. 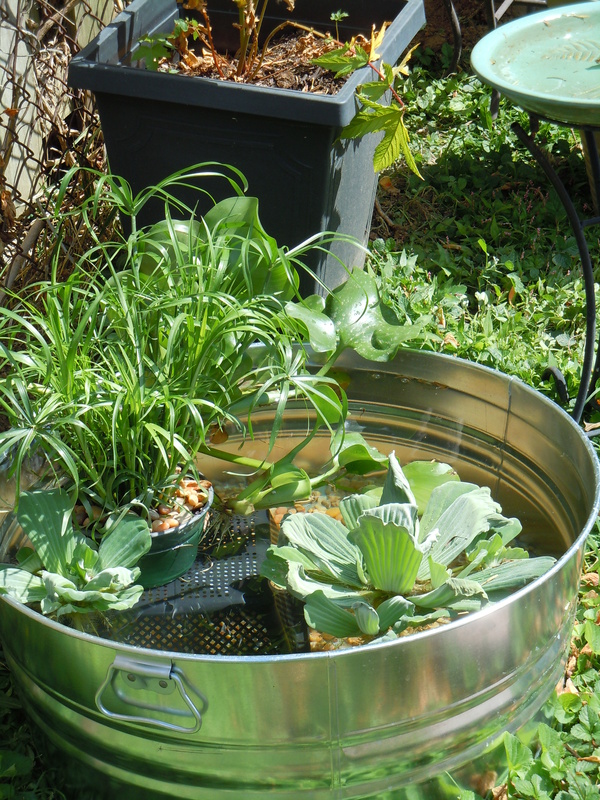 This pic is about a week old because now the entire top of the tub is filled with plants, and we also added a few mosquito fish to it as well. More pics to follow of what happened around the pond starting last Friday!